Dirak A leading EPDM Gaskets Manufacturers and dealers in India offered by us are WRAS approved and appropriate for use in the water industry. Ideal for anti-vibration, sealing, and electrical insulation applications, these gaskets ensure outstanding. Our range of moulded gaskets is generally used in varied industries. These products are machined through injections and compression machines. The usage of these products are, they fill the space between two objects and prevent any kind of leakage. At Dirak we offer EPDM Gaskets and EPDM Rubber Beading in various sizes or we can custom die-cut each grade to your exact requirements. 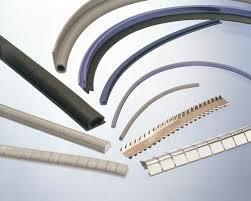 Our range of moulded gaskets is generally used in varied industries. These products are machined through injections and compression machines. The usage of these products are, they fill the space between two objects and prevent any kind of leakage. We at Dirak EPDM Gaskets Manufacturers and dealers in India which is suitable for medium to large butterfly valves. In addition to the geometry, the mixture, and production process. Our products are manufactured using the high-quality material under a supervision of highly qualified experts.